You prepare days ahead to take your tests. You have a game plan to study and get ready. You should have a plan for your test as well. Preparing to take a test requires some planning. You should start studying at least a week before your exam to make sure you can cover all the material. If necessary, sign up for tutoring in Sandestin to make sure you know what you need to know. On the day of the exam, you should have a game plan to make the most of your time. Here's what you need to do. Don't cram the night before: You might be tempted to stay up late the night before your test studying. Don't! Cramming won't help you learn the material. You know what you know and staying up late will make you feel tired and unfocused in the morning. Breakfast time: Start your day with a complete meal and don't skip breakfast. Have some superfoods for breakfast to help boost your brain power and concentration. Go prepared: Pack your backpack the night before. Make sure to take pencils, an eraser, your calculator, and anything else you need. Read the instructions: Take some time to read the instructions before you start answering. Don't skip ahead to save time. Start with the easy ones: You should first answer the easy questions or the ones you know for sure. You'll have those points correct. Move on to the hardest ones next. Review your answers: If you have some time left, go over your answers. Trust your instinct and don't make changes unless you feel confident about them. Focus on yourself: Try not to worry about your classmates and how fast they finish their exam. Focus on yourself and take your time. One of the great benefits of working with a tutor is that they can help you develop better study habits to ace your exams. 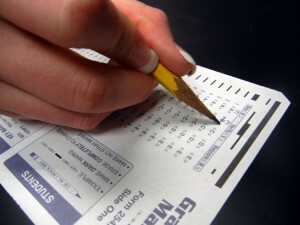 Contact The Tutoring Center, Sandestin FL at (850) 424-7935 to help prepare for your tests with tutoring in Sandestin.